Lauren created Anchored Style, the classic, nautical, made in America coastal lifestyle brand in 2010. 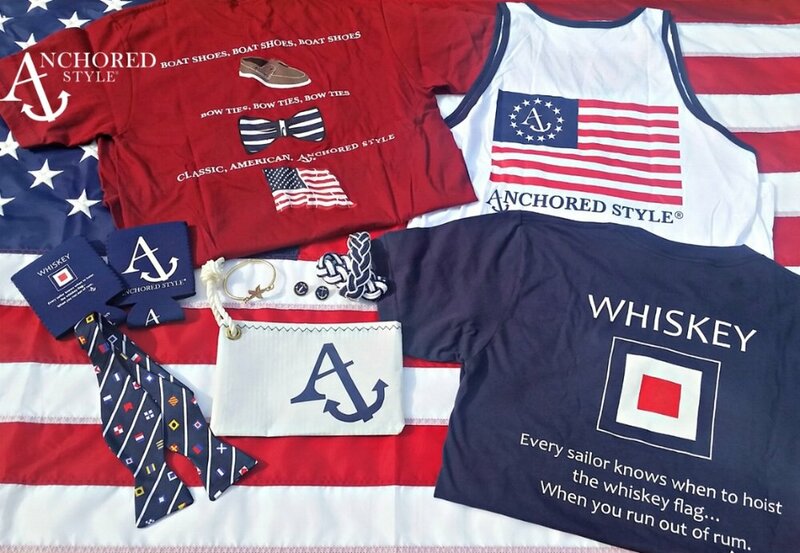 It all started with the "Whiskey flag" tee shirt, and then a multitude of other nautical motif designs started flowing. Lauren took a road trip from Florida to Maine stopping at college campuses and boutiques, showing her first samples and writing orders. She ran all aspects of the brand from design, marketing, sales, social media, shipping, and bookkeeping. After she got married in 2015, passions and priorities changed, and she wanted to try her hand at interior design and home staging which brought her to start Styled by LM. Running Anchored Style has been a dream come true,and hopefully, the brand integrity can continue on in the hands of another creative and passionate owner. Please contact lauren@anchoredstyle.com for interest in acquiring the brand. ©2019 Styled by Lauren McCombs. All Rights Reserved.